Make yourself comfortable at The Sebel Manly Beach. Managed by Accor Vacation Club, this property boasts a fantastic location at the southern end of Sydney, NSW’s famed Manly Beach, just steps from the very best boutiques, restaurants, and entertainment, our hotel embodies the relaxed sophistication for which this part of the world is known. Our contemporary guest rooms and serviced apartments include large furnished balconies, some with panoramic beach and ocean views; LCD TVs, individual climate control, and in-room safes are among the many perks awaiting you in your accommodation. Soak in the sun at one of our two outdoor pools, or indulge in seafood and wine at Manly Wine restaurant which blends seasonal flavours with awe-inspiring beach views located within the complex. If you’re planning a meeting or event here in Manly Beach, you can take advantage of our 5 modern conference rooms, which feature natural light and can accommodate up to 70 delegates. Discovering the area is easy, thanks to our easily accessible hotel location; shopping, dining, and exhilarating outdoor activities are moments away, and Sydney CBD is a short ferry ride away. For an experience you won’t forget, visit us here at The Sebel Manly Beach. Humpback Whales travel thousands of kilometres along the east coast of Australia from early May to Late November. 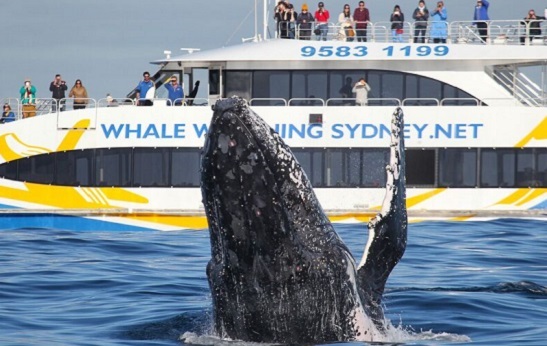 Combine a three hour harbour cruise witnessing the majestic whales with a luxurious stay at the Sebel Manly Beach. The Sebel Manly Beach, in conjunction with Manly Wine offer a premium hot breakfast package to be enjoyed in the surrounds of Manly Wine. Guest of The Sebel Manly Beach can enjoy a delicious hot breakfast at the completely transformed restaurant Manly Wine, complemented by the stunning water views of Manly’s iconic beach. The hotel’s bed and breakfast package includes one hot breakfast item from a wide range of healthy options, together with a freshly squeezed juice and a delicious espresso coffee. Choose from Manly Wine’s signature Eggs Benny, or the “full Manly” featuring scrambled or poached eggs, chorizo, grilled tomato, bacon, and mushrooms on toast. If you have a sweet tooth in the morning try the buttermilk and ricotta hotcakes with grilled banana, double cream and slated peanut praline.